A reader submission for entry in the Morgan Score competition. We are currently working on a planting project, planting 15,000 native plants next to a fabulous piece of native beach forest miles from any houses. We have been trapping possums out of the beech forest as an aside to our planting job. This is something that my two workmates and I have really enjoyed doing. 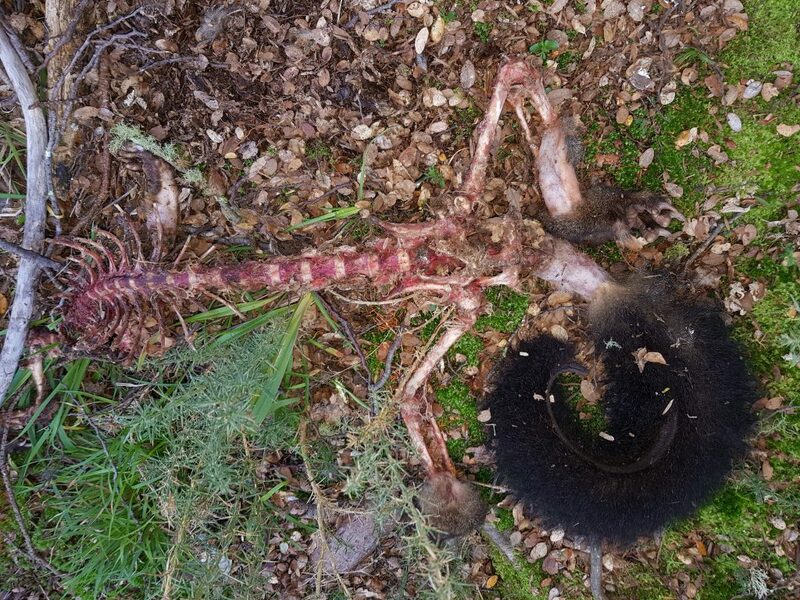 Then we discovered one that looked like this…. 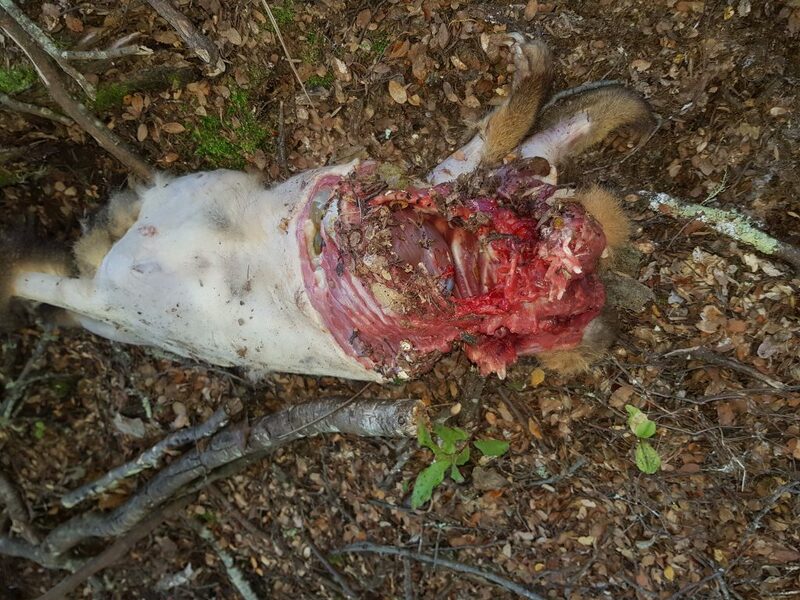 The surgical nature of the cut through the skin suggested it was a feral cat. As we don’t have a fabulous “flat shooting cat gun with a Harris bipod and big scope for night shooting” we did the best we could!! 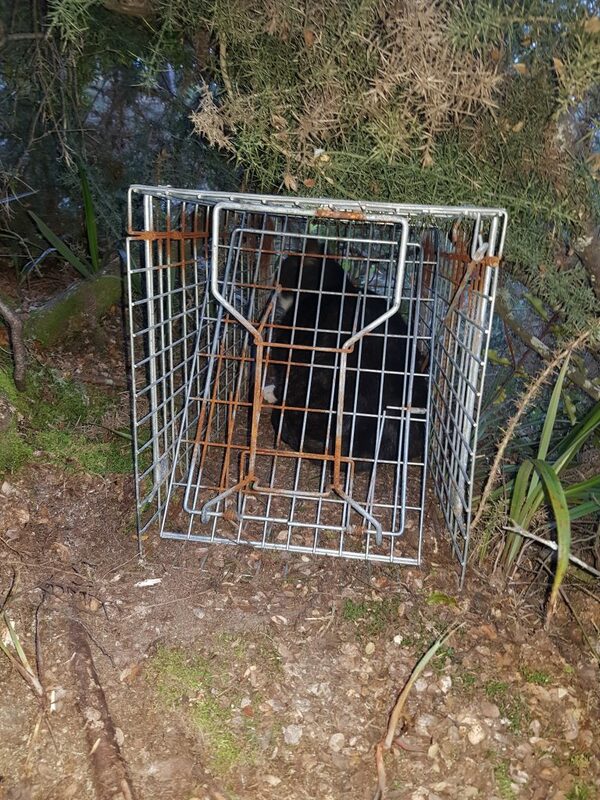 It was the Cage trap that got him and man did it make our day! The Tail Measured 30cm. The girth was a 49cm and a bonus 10 points for a set of nuts !!! So we are really keen on winning the perfect cat gun prize from Reloaders and if we do win it you guys can be sure that it will get plenty of use. We are out spotlighting most weekends in the search of possums, rabbits and hares etc. 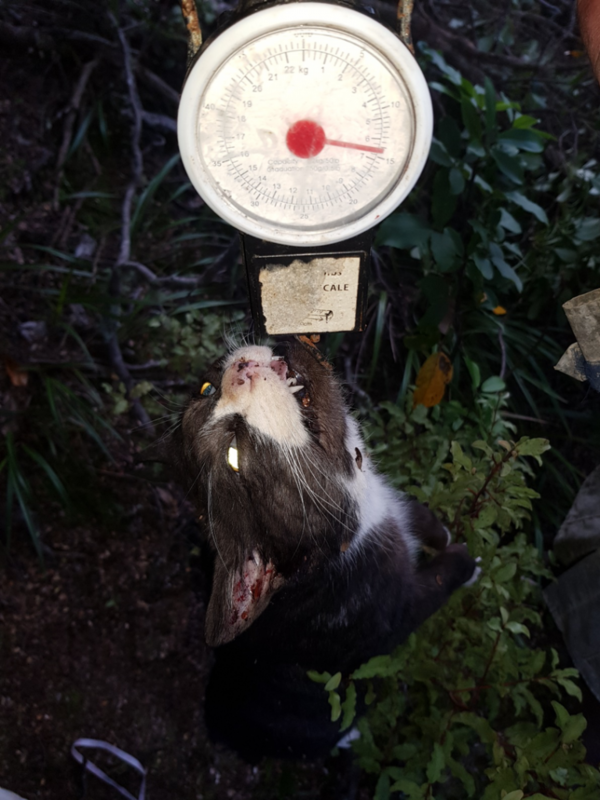 We have so far seen a few cats at night and have been lucky enough to catch up with one with the .22 and now have caught a total of 8 in cage traps. This was by far the biggest any of us have ever seen!!! What a fantastic entry, a clear leader and one that may well be hard to beat.